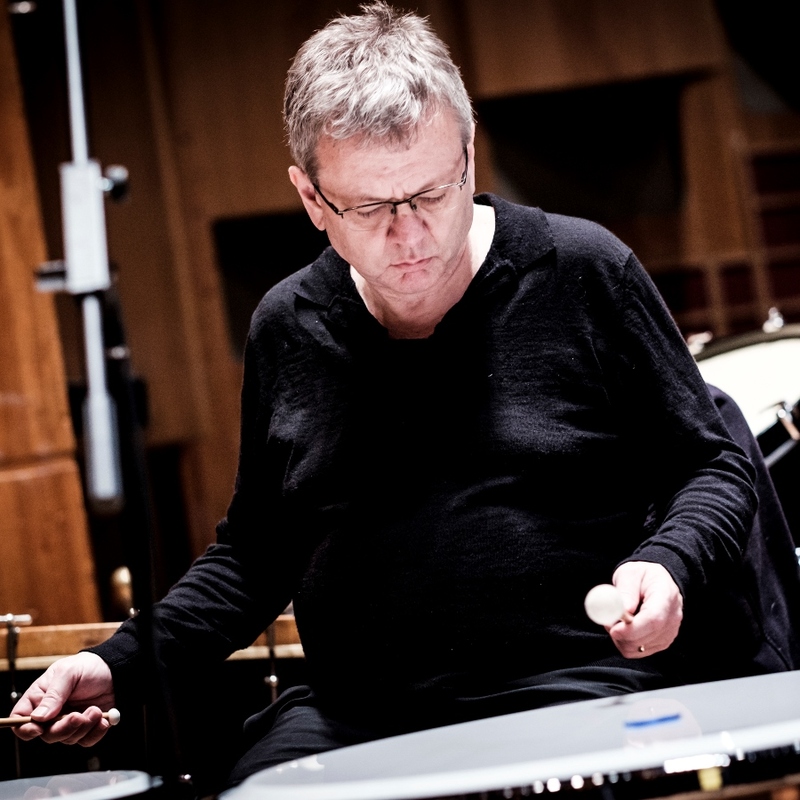 Principal timpanist of Britten Sinfonia, William Lockhart has also been principal timpanist at English National Opera since 1985. Alongside his career in opera he has performed in a wide variety of ensembles and genres, playing timpani and percussion as a guest with all the London orchestras and in smaller ensembles ranging from mediaeval music to the avant-garde, including memorable collaborations with Nexus, John Cage and Steve Reich. Much of his freelance work is in recording studios, where he has contributed to hundreds of film scores and commercial recordings for such artists as John Williams, Stevie Wonder and Joni Mitchell. Away from the timpani, he takes part in the annual Basle carnival in Switzerland, playing the uniquely florid marching drumming of that tradition.